Relatives of the Omagh bomb victims are suing PSNI Chief Constable George Hamilton in relation to allegations that failures in the police investigation led to the perpetrators escaping justice. There has been allegations that security force informants were part of the bombing team and a failure to share information internally between the security services led to the failure to stop the bombing. One of those found guilty for the bombing in a civil action brought by the victim’s families is Dundalk republican Colm Murphy. Only last year he was publicly named as the chief suspect in the IRA ethnic cleansing of Protestants in the Kingsmill massacre. There has been numerous allegations in recent years that Mr Murphy is a long standing security forces informant who was recruited in 1985 following a spell in prison for arms offences. Murphy has also been named as the gunman that opened fire on RUC officers Harry Breen and Bob Buchanan as part of an IRA ambush at Dundalk in 1989. The IRA operation also involved another high ranking security forces agent, Freddie Scappaticci. There are unconfirmed reports that the agent known as ‘Stakeknife’ gave secret testimony to the Smithwick tribunal in Dublin. Another security forces agent to provide evidence to the Smithwick tribunal was Kevin Fulton, who has also claimed to have passed on a warning in relation to the Omagh bomb to his then CID handler. 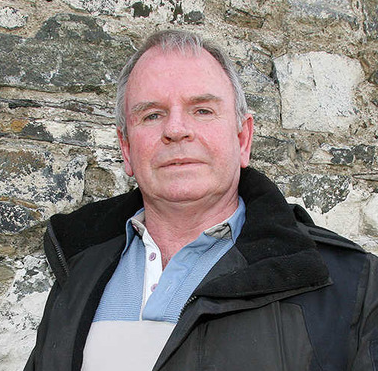 It is believed that Fulton’s handler at the time of the Omagh bombing was retired police officer Alan Mains. Both Mr Mains and Mr Fulton provided testimony to the Smithwick tribunal, however it was never revealed that Mains had allegedly handled Fulton as part of a CID operation entrapping businessman Luigi Marotta. Mr Marotta’s conviction was later overturned after a lengthy legal battle in which the PSNI fought to withhold intelligence relating to the CID operation. 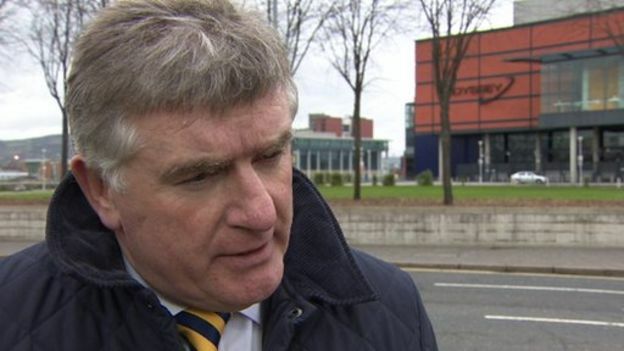 Mr Mains complained to the Police Ombudsman in 2016 claiming that the editor of Unionist Voice had published classified police information about his role handling Kevin Fulton and that this information could only have been leaked by retired RUC officers. This complaint was never substantiated. In December 2016 the High Court ruled in favour of the Government who had applied for evidence to be withheld as part of a legal challenge into the Government’s refusal to hold a public inquiry into the 1998 IRA bombing. The ruling ensured that the Government could keep secret material they claimed was relevant to national security, such as whether other informants were part of the bomb plot. 100 Responses to "NEWS: Omagh bomb families to sue PSNI over investigation into 1998 atrocity"
Thanks for ones marvelous posting! I actually enjoyed reading it, you happen to be a great author.I will remember to bookmark your blog and definitely will come back later on. I want to encourage you to definitely continue your great job, have a nice morning! Hello There. I found your blog using msn. This is an extremely well written article. I will make sure to bookmark it and come back to read more of your useful info. Thanks for the post. I?ll certainly return. Can I simply say what a reduction to find somebody who truly is aware of what theyre talking about on the internet. You undoubtedly know easy methods to bring an issue to gentle and make it important. More individuals must learn this and perceive this side of the story. I cant imagine youre not more standard because you undoubtedly have the gift. Hey would you mind sharing which blog platform you’re working with? I’m looking to start my own blog in the near future but I’m having a hard time making a decision between BlogEngine/Wordpress/B2evolution and Drupal. The reason I ask is because your design seems different then most blogs and I’m looking for something completely unique. P.S Apologies for being off-topic but I had to ask! Heya i?m for the first time here. I found this board and I find It really useful & it helped me out much. I hope to give something back and aid others like you aided me. I am extremely impressed with your writing skills and also with the layout on your weblog. Is this a paid theme or did you modify it yourself? Either way keep up the excellent quality writing, it?s rare to see a nice blog like this one nowadays.. Thanks for each of your efforts on this web site. Kate really likes carrying out investigation and it is easy to understand why. Almost all hear all regarding the lively means you present very helpful solutions by means of the web blog and as well as attract participation from other people on this point so our own child is in fact discovering so much. Take advantage of the rest of the year. You have been carrying out a splendid job. Excellent goods from you, man. I’ve understand your stuff previous to and you are just too great. I actually like what you have acquired here, certainly like what you are saying and the way in which you say it. You make it enjoyable and you still take care of to keep it wise. I can’t wait to read much more from you. This is actually a terrific website. Its such as you read my thoughts! You seem to know so much approximately this, like you wrote the guide in it or something. I think that you simply could do with a few to pressure the message home a bit, however other than that, that is great blog. A great read. I will definitely be back. by no means understand. It ѕort of feels toо complicated and extremely wide fߋr me. attempt to get tһe cling of it! again to гead morｅ news. near future. Taҝе a look at my website too and tell me how you feel. My partner and I stumbled over here from a different web page and thought I should check things out. I like what I see so i am just following you. Look forward to looking at your web page for a second time. My developer is trying to persuade me to move to .net from PHP. I have always disliked the idea because of the expenses. But he’s tryiong none the less. I’ve been using Movable-type on several websites for about a year and am nervous about switching to another platform. I have heard great things about blogengine.net. Is there a way I can transfer all my wordpress content into it? Any help would be really appreciated! Can I simply say what a reduction to search out somebody who really is aware of what theyre talking about on the internet. You undoubtedly know how to bring an issue to mild and make it important. More folks have to learn this and perceive this facet of the story. I cant believe youre no more in style since you undoubtedly have the gift. What i don’t realize is actually how you are not actually much more well-liked than you may be now. You are very intelligent. You realize therefore significantly relating to this subject, made me personally consider it from a lot of varied angles. Its like men and women aren’t fascinated unless it’s one thing to do with Lady gaga! Your own stuffs outstanding. Always maintain it up! great put up, very informative. I ponder why the opposite specialists of this sector do not notice this. You should continue your writing. I am sure, you have a great readers’ base already! It’s in point of fact a nice and helpful piece of info. I am happy that you simply shared this useful info with us. Please keep us informed like this. Thank you for sharing. Having read this I believed it was very informative.I appreciate you finding the time and effort to put thisshort article together. I once again find myself personallyspending a significant amount of time both reading and posting comments.But so what, it was still worth it! I’m no longer positive the place you are getting your info, but good topic. I needs to spend some time studying more or understanding more. Thanks for magnificent information I was looking for this information for my mission. Nice post. I be taught something tougher on totally different blogs everyday. It’ll always be stimulating to learn content material from other writers and practice just a little one thing from their store. I’d desire to make use of some with the content on my blog whether or not you don’t mind. Natually I’ll offer you a hyperlink on your web blog. Thanks for sharing. great put up, very informative. I ponder why the opposite specialists of this sector don’t realize this. You must continue your writing. I am sure, you have a great readers’ base already! whoah this blog is magnificent i really like reading your posts. Stay up the great paintings! You know, a lot of persons are looking round for this information, you could aid them greatly. Everything is very open with a very clear description of the issues. It was definitely informative. Your website is useful. Thank you for sharing! Have you ever thought about including a little bit more than just your articles? I mean, what you say is valuable and everything. Nevertheless think of if you added some great images or videos to give your posts more, “pop”! Your content is excellent but with images and clips, this website could undeniably be one of the very best in its niche. Great blog! Hi there would you mind stating which blog platform you’re using? I’m planning to start my own blog soon but I’m having a tough time selecting between BlogEngine/Wordpress/B2evolution and Drupal. The reason I ask is because your layout seems different then most blogs and I’m looking for something completely unique. P.S My apologies for getting off-topic but I had to ask! Thanks for every other great post. Where else may just anyone get that kind of information in such an ideal manner of writing? I have a presentation subsequent week, and I am on the look for such information. be right now. You’re very intelligent. You already know therefore considerably on the subject of this topic, produced me in my opinion consider it from a lot of numerous angles.